« Get Your Valentine’s Day Sweets! Join us at Sassafras for an unforgettable event, hosted along with You Are the Potter Pottery Studio! 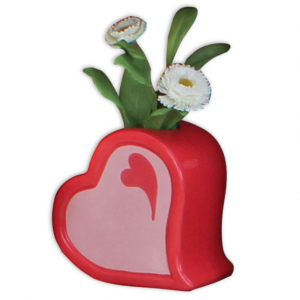 In February we are going to paint a beautiful Valentine vase! It will start out as a plain white pottery piece and you will get to paint it at the event. Bring your mom, sister, daughter, grandchild and paint your own heart vase while enjoying tea and treats. – Unfinished pottery piece, ready to paint! After your paint lovely vase, Christine from You Are the Potter Painting Studio will take your piece and glaze and fire it. Finished pottery items will be ready for pickup after February 22 at Sassafras Tea Room.